As I sit looking across the night-lit Oslo fjord thinking of the past few days, I am astounded at how far I’ve come. 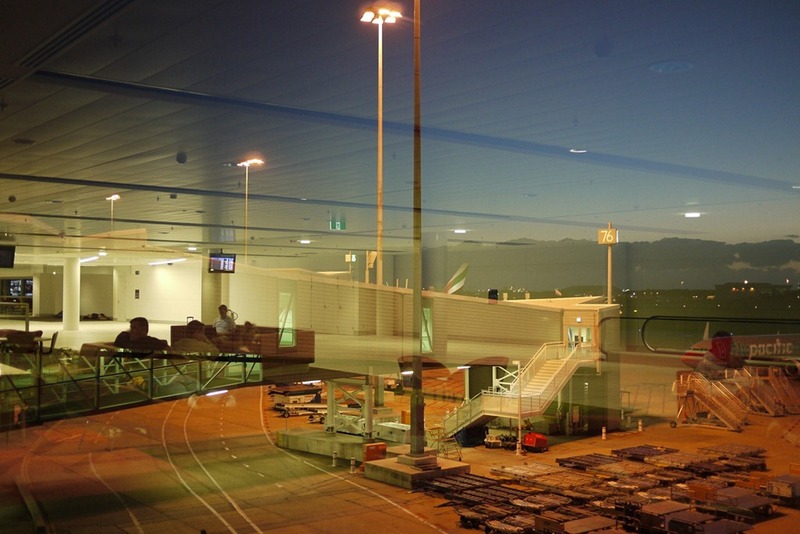 My senses are hazy after more than 48 hours of travel across the globe and it seems an age since I watched Brisbane’s first sunrise of 2012 from the panoramic windows of Gate 75 in the international airport. After months of planning, weeks of working to pack up our life in Brisbane and hours of belly-fluttering anticipation, Dave and I started the new year within the airport; a fitting tribute to the nine months of travel adventures ahead. Strengthened by hugs and kisses from a very supportive farewell crew, we skipped into the boarding gate with new year cheer and the happy prospect of nine months of travel. Two hours of delays for ‘technical reasons’ did kerb our enthusiasm a little, but after three hours we filed onto the plane, tired-eyed but happy to be on our way. 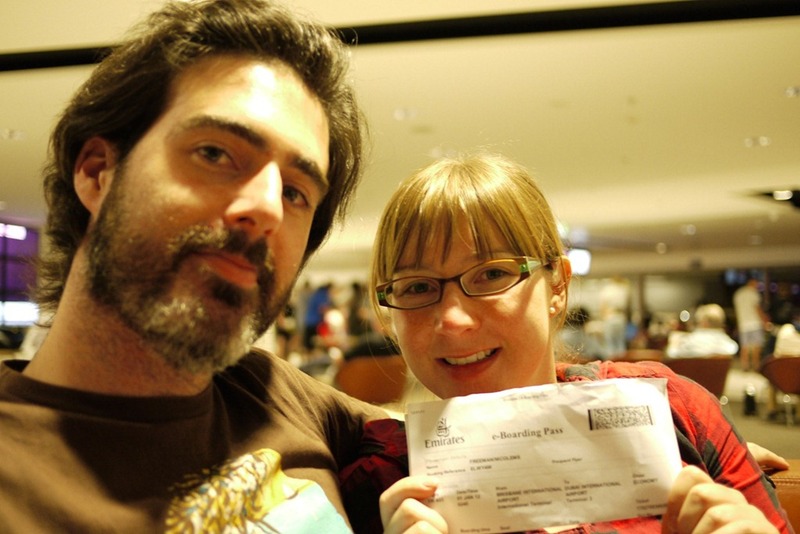 About eight hours later we arrived in Singapore’s Changi airport for a quick stop. By this stage it was apparent that we would be cutting it fine to transfer to our connecting flight at Dubai and Frankfurt. It was then another eight hours of flying before Dubai airport greeted us with its blinding white halls. We missed our connection and, after an hour with the transfer desk, we were given a hotel room and meal vouchers to comfort us during the twelve hour wait for our rebooked flight. 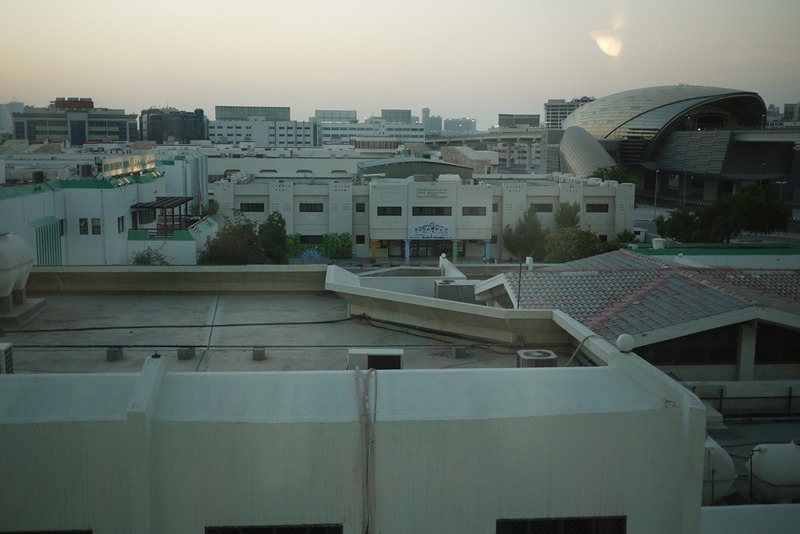 Despite the inconvenience of delays and rescheduling, I have to say the unexpected stop over in the United Emirates represents one of my favourite things about travel; you never really know what surprises await, or where you’ll end up. I was a little sad that the forced stop over didn’t accommodate enough time to see Dubai and catch up on some much needed sleep, but I did experience the warm Dubai night and see the unusual space-themed airport from the outside. 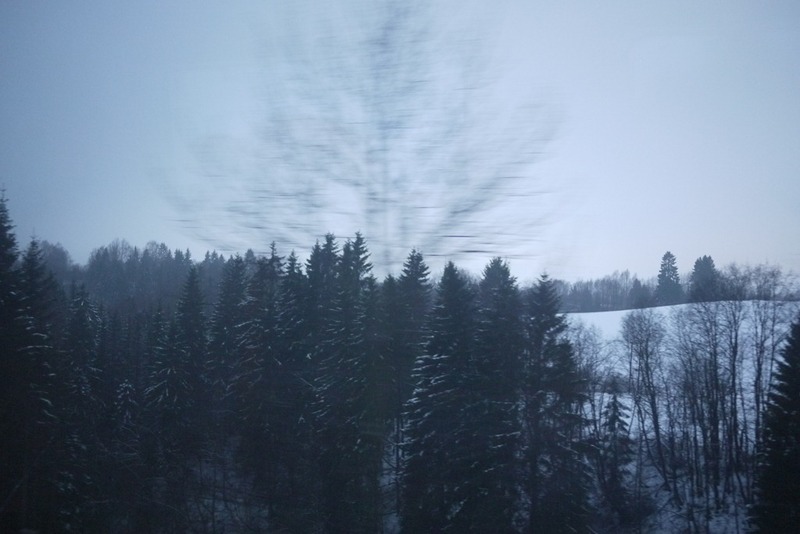 Then another eight hours to Frankfurt, Germany, where it was 4 degrees Celsius (my first introduction to European winter). We arrived to a confusing terminal system that proved a little tricky in our sleep-deprived state. After a monorail ride to the correct transfer terminal, we had an hour of concern as we were told(after multiple information desks and failed check-in attempts) that our onward tickets to Oslo had not been confirmed by Emirates when booked the previous night. No matter though, a lovely lady with a lovely watch eventually helped us confirm and check in (thank goodness for the four hour stop over). With most of the journey finally behind us at Frankfurt, it was a little surprising to find there were still more air travel adventures to be had. It seems the lovely lady with the lovely watch had upgraded us to business class for our final flight to Oslo! Awesome! As first time business class flyers we were more than impressed and found the two hour flight almost too short. 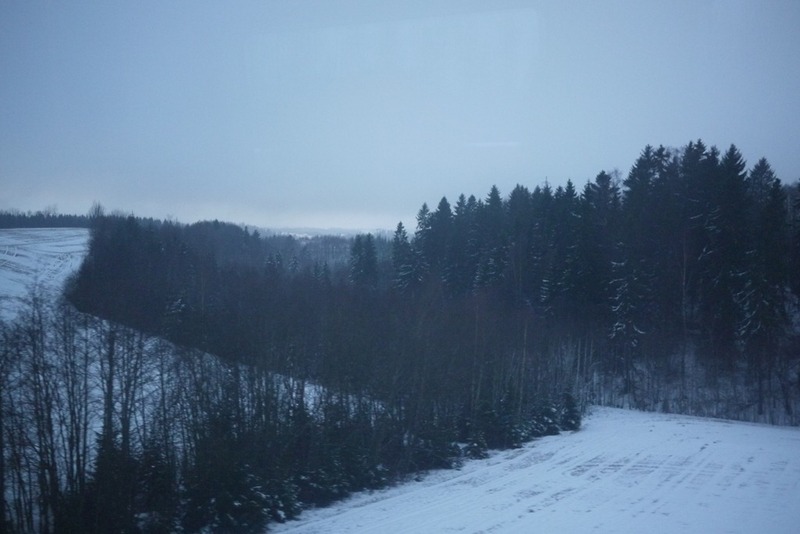 But then there was Norway… blanketed white with pine trees and red-roofed, double storey houses; clean and welcoming, despite the frosty –4 air. I saw snow for the first time! Although it’s apparently one of the warmest Norwegian winters in a while, the snow is thick enough to see, to mush under your feet and to make the world seem peaceful. I love it! I can’t wait for sleep. And then tomorrow in Norway! good to hear that you have made it safely to Oslo. If the last 48 hours are anything to go by it sounds as though the next 9 months are going to a be an adventure per minute. Thanks Tom and Mary! Good to hear from you. Yes, we were joking about how we’re off to a great start. Fingers crossed that we’ve had our share of flight mishaps for a while… but I’m sure there will be plently more of interruptions and unexpected delights to come! Missing you already. Thanks for following. Hey Kel, thanks so much for your support and lovely comments. I love that travel is always an adventure – the mishaps, the upgrades and the little delights like the first sunrise of the year. I’m sitting in bed looking over a grey Oslo morning (sun just rose at 9.30ish) and, after a good meal, hot shower and night of sleep, the long journey here almost seems a dream. About to head out into the cold to explore! Thanks Josh. There will be plenty more adventures to come!